Thunder Bay First Aid has become the front runner in CPR and AED training. This St Mark James training provider offers great rates, a wide range instructional classes, amazing trainers, and high-end training centers to prospective trainees. High quality training courses have made Thunder Bay First Aid the best training service provider in basic first aid, CPR, and AED training. Various training levels, refresher / re-cert courses, stand-alone classes, and special classes are all offered by Thunder Bay First Aid. To register in any of Thunder Bay First Aid’s numerous training courses or re-certification programs you can also click here. Thunder Bay First Aid provides students the chance to practice all of the skills taught in the class through “hands on” training. 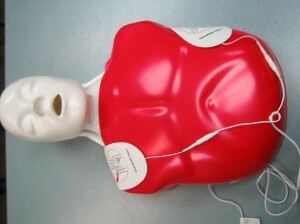 Participants will have the opportunity to practice using an AED by using AED trainers (pictured above) on CPR mannequins. basic CPR and AED training for adult and child victims, CPR Level “C” which offers basic CPR and AED training for adult, child, and infant victims, along with basic first aid, and CPR Level “HCP” which offers comprehensive CPR and AED training for health-care providers. 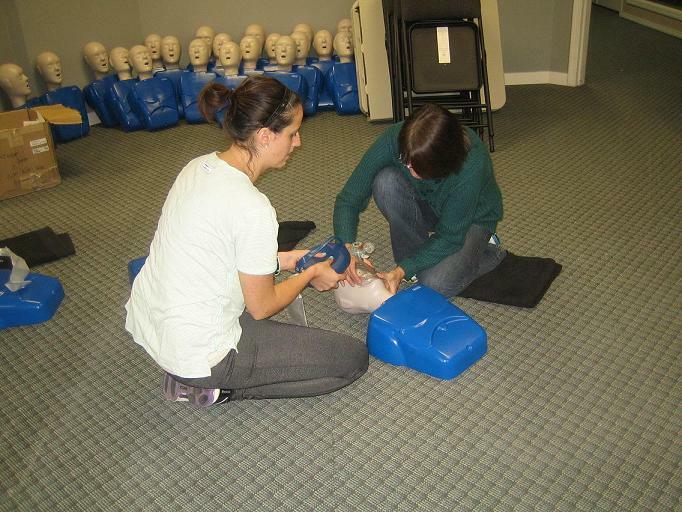 Stand-alone classes for CPR/AED or basic first aid only are also available. Because of Thunder Bay First Aid’s numerous class schedules throughout the week, you will have no problem in creating a schedule that fits perfectly with your needs. Should a schedule not be available, special classes are also offered at a reasonable fee. Individuals and groups who request private classes may do so as well. Thunder Bay First has the lowest number of class cancellations, so changes in schedule happen very rarely. On-line application forms are available on the Thunder Bay First Aid website as well as contact details for e-mail and telephone numbers. The Thunder Bay First Aid staff will answer all your queries during business hours. Thunder Bay First Aid offers a variety of training locations. 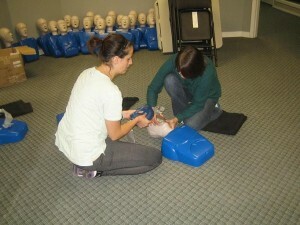 These training centers are well-maintained with the highest quality equipment for training in first aid, CPR, and AED. All locations are convenient and easily accessible to trainees. Renewal training courses are given not less than twice a week for trainees who want to renew expiring or near-expiry certificates. Successful completion of any training course will give trainees a certificate for first aid, CPR, and AED use, valid for 3 years. Thunder Bay First Aid offers wide range of first aid classes from basic first aid to pet first aid training. CPR training courses are inclusive of AED training, in accordance with the latest Basic Life Support (BLS) Guidelines by the American Heart Association and St Mark James seen in the video below. Enroll in CPR and AED training courses with Thunder Bay First Aid to get the best St Mark James training courses at the cheapest rates. To read more or to sign up for a full or renewal course visit the Thunder Bay First Aid Web-site today!